SC4Launcher by Keiron Morris and NAM: Network Addon Mod are both highly recommended. Enable most fixes by using the SC4Launcher/Combined launch options, and then enabling Borderless fullscreen windowed. Performance issues on more modern systems. The OS X port suffers many problems. sc4modds - full list of mods from /r/SimCity community. 8.4 Error message: "Could not initialize graphics card"
Deluxe Edition. Download (DRM-free) or retail (Disk key). Deluxe Edition. OS X-Only 2014 Re-Release with modifications to improve compatibility. Deluxe Edition. Included with Origin Access Basic. Deluxe Edition. Includes 2014 OS X Re-Release. It is recommended to only use Deluxe version which includes the Rush Hour expansion pack, as this has the highest compatibility with mods and other fixes. Retail keys can be redeemed on Origin. Included in the Deluxe Edition. EA hosts one all-encompassing update that includes all patch fixes for all retail versions of the game (digital distribution versions have their own patches). Launcher utility that can be installed. Combines autosaving (customisable intervals), renderer choice (DirectX, Software, OpenGL), CPU priority, single CPU affinity, widescreen resolution, windowed, borderless-windowed, skip intro videos, simple mod manager and an ATI/AMD graphics card fix into a single launcher program. Single line of code to be added to 'Target' field of the shortcut or to Steam launch options. Combines widescreen resolution, windowed, single CPU affinity, skip intro videos. Also use ShiftWindow in order to enable Borderless fullscreen windowed mode for seamless alt+tabbing and fullscreen view. Extensively reworks of the road system, improves traffic simulator, path-finding and performance. Compatible with all available versions, since Origin version is now patched. A third party DLL that fixes hard-coded bugs and crashes like the infamous 'prop pox' bug and crashes when hovering NAM puzzle pieces. Helps revive and repair cities affected by the 'prop pox' bug. Beware of issues when using multiple duplicate cities. Uses an Orthographic Projection camera, rendering FOV modification pointless. The GOG.com version has this done automatically. Hotkeys and similar key bindings are stored in plaintext KEYCFG files in simcity_1.dat. A tool like Ilive Reader must be used to edit these. Language choice determines display language and which side of the road cars drive on. The language can be forced if needed but only if the release being used includes that language (see Change language). Some releases also include UK English (cars drive on the left). European retail and GOG.com release. Japanese retail and Steam OS X versions only. Major flaws when operating on computers by Apple using Intel processors. Aspyr released a beta of a patch to fix the problems in 2007, but the patch was never finalized and many bugs remain. Some have a serious impact on playability, including frequent crashes if a city exceeds 95,000 population, flawed display of the water surface, frequent blurring or replacement of objects with random other objects, and an inability to significantly accelerate the vehicle in driving mode that prevents many gameplay features from being unlocked. OS X 10.9 (Mavericks) can render the game completely unplayable, even with the 2007 or 2014 patches. Running the Windows version in Wine or a Virtual Machine generally gives a more convenient and reliable result. An integer overflow bug is also present in the game. Under certain conditions, the Junior Sports Program and Parks and Recreation expense items will be a negative value - thus adding to the end of month balance instead of reducing it. May reduce performance and visual fidelity. Go to the video settings menu. Running SimCity 4 on modern systems may result in large performance problems. Be sure the installation of SimCity 4 is updated to the latest version. Updating it afterwards will remove the fix. This fix enables hardware acceleration. Download, install and run GPU-Z. Copy down what is listed as the "Device ID" as well as the card's name. The "Device ID" is a number that identifies your card, as well as who makes it. For example, if 10DE-1086 is the Device ID, 0x10DE identifies the card's vendor, and 0x1086 identifies your card. Locate your SimCity 4 installation. Within the installation folder, open "Graphics Rules.sgr" with the text editor of your choice. Add your own card's name in the list, separating the vendor and the card with asterisks. For example, stringMatch cardIdentity "ATI*HD 4800 Series*"
In the same folder, open "Video Cards.sgr" with the text editor of your choice. Locate the header featuring your card's vendor (and vendor ID). Add your card in under the header, preferably in numerical order. For example, card 0x1086 "Nvidia GeForce GTX 560"
Don't forget to preface your card ID with the "0x"
Enter the video options menu. Check "Hardware" under the "Rendering" header. This may fix your problems in-game. If not, try messing with some of the graphics options in-game. If none of these options work, you may have to resort to using Software rendering, in order to achieve a playable experience. If you are using an AMD Radeon HD 7000 Series graphics card, also implement Details disappear when scrolling. Every I-H lot in the game does not offer high wealth jobs even though it creates a demand for high wealth residents. Download and install IH Missing Jobs Fix. Error message: "Could not initialize graphics card"
SimCity 4 may crash on startup while reporting an error that claims that SimCity 4 was unable to initialize the graphics card, this may occur when using a hardware-accelerated rendering mode and a non-standard resolution. Changing the rendering mode to "software" or changing the resolution to one of the supported resolutions (800x600, 1024x768, 1280x1024, 1600x1200) should resolve this issue. On some AMD/ATI graphics cards users may find that scrolling the view will cause entities and details to temporarily disappear, including lots appearing completely empty until scrolling stops. This fix removes outdated compatibility options that impair performance. Open GraphicsRules.sgr in the installation folder in any text editor. Search for the line stringMatch cardIdentity "*7?00*"
Modify the line so it reads stringMatch cardIdentity "*Radeon 7?00*"
This will stop your modern card from triggering a compatibility check designed for the original Radeon 7000 series, forcing settings that make the game perform badly. Alternatively, this can be resolved by installing the SC4Launcher Utility. Once installed, run the launcher and navigate to the 'Hardware & Audio' tab. Enable the option 'Force Draw on Scroll' by checking the tick box. This should resolve the issue completely and will remain fixed regardless of whether the game is started with this custom launcher or through running the normal SimCity 4 executable. 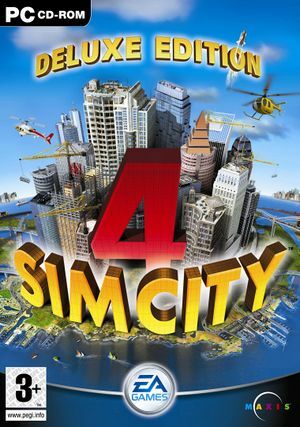 If two or more copies of the same city exist in the Region folder upon starting SimCity 4, the game uses only one version and the other city copies are either deleted or automatically moved to the Downloads folder. SimCity 4 determines which file to use by sorting the city file names alphabetically and taking the first entry. More parameters can be found via this link. Please be aware that if you use the -UserDir parameter, changes made in any ingame options may not be saved properly. The availability of these sets depends on where the game was purchased, or where the purchaser's billing address states in the case of Digital Distribution. UK English, Norwegian and Portuguese sets use shortened versions of their names: UKEnglsh, Norwgian and Portgese respectively. 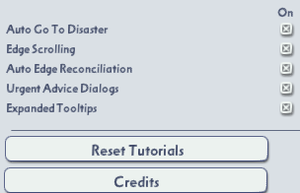 A detailed guide can be found on the SimCity Devotion thread by RippleJet. The game also recognises Czech, Hebrew, Greek and Russian, however no official translations were ever released and no community translations have been made, possibly due to lack of compatible font sets. Simtropolis - an extremely active modding community, hosts the ST/Exchange (SimTropolisEXchange). SC4 Devotion - a very active modding community, hosts the LEX (Lot Exchange). A significant and popular mod developed by the community at SC4 Devotion. Rewrites and improves how cities and regions grow by including more 'lots' or building transition stages, and increases population density. 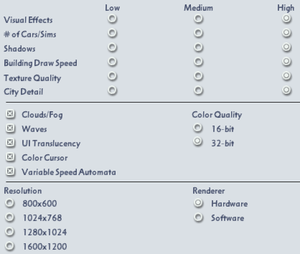 Compatible with NAM: Network Addon Mod - when installing CAM, select 'no traffic simulator'. 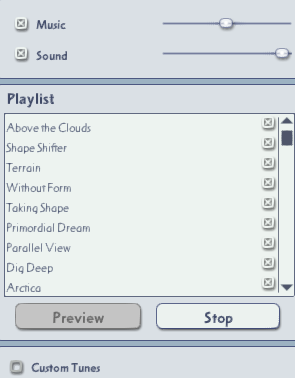 SimCity 4 Auto Saver - autosave program for SimCity 4 that will automatically save your game while you play, superseded by the SC4Launcher. SC4Terraformer - this is a widely used tool that can render custom maps designed and built within the program. SC4DataNode - this is a tool that checks your plugins folder, analyzes it, and tells you if any mods are missing dependencies. ↑ 2.0 2.1 File/folder structure within this directory reflects the path(s) listed for Windows and/or Steam game data (use Wine regedit to access Windows registry paths). Games with Steam Cloud support may store data in ~/.steam/steam/userdata/<user-id>/24780/ in addition to or instead of this directory. The app ID (24780) may differ in some cases. Treat backslashes as forward slashes. See the glossary page for details.